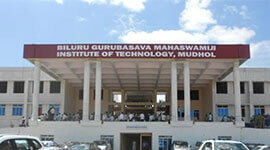 Biluru Gurubasava Mahaswamiji Institute of Technology (BGMIT) is established in 2013 under B.V.V. 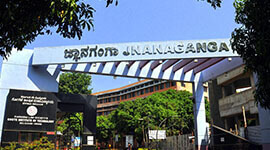 Sangha, Bagalkot, Karnataka. 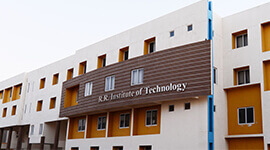 The institute is located in Mudhol, Bagalkot district, Karnataka, affiliated to Visvesvaraya Technological University (VTU), Belagavi, Karnataka. 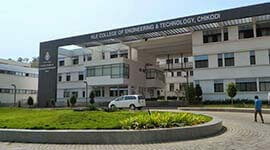 BGMIT is recognized by AICTE, New Delhi. The institute is spread in 15 acres near left bank of Ghataprabha River, a very good, pollution free, and clean rural place that everybody prefers to live in. BGMIT provides our students world class technical education. We have a well-planned future ahead with our dedicated faculty members. BGMIT is the best place for students because we give equal importance to all the students pursuing technical education. 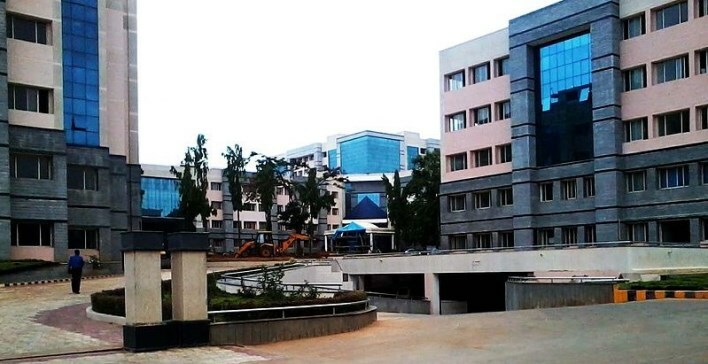 BGMIT has 4 departments; Computer Science and Engineering (60 intake), Electronics and Communication Engineering (60 intake), Mechanical Engineering (60 intake), and Civil Engineering (60 intake). 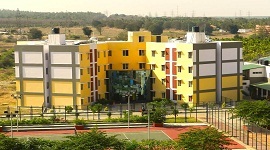 There is a separate hostel facility for boys and girl with vegetarian food. To meet the growing competition and to be unique in providing quality education, the faculty at BGMIT show special interest in their teaching techniques and keep on updating their skills continuously. BGMIT provides not only quality education to the students and also encourage them to participate in sports and games. Our well-qualified physical director, who has a master's degree in physical education, makes our students to enthusiastically participate in physical activities. BGMIT has a vision to empower individuals with comprehension and proficiency to become honest and competent engineers. Amenities we provide at BGMIT are on par with modern universities. 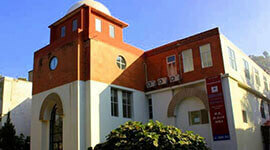 BGMIT always strives to provide best education and quality lifestyle in the campus. 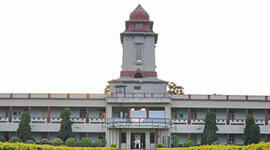 Having graduated from us, students will explore great career opportunities awaiting them. 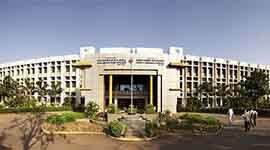 BGMIT is the fast growing, high potential institute providing education to meet industry standards. Students are put through a very rigorous training in Aptitude, Soft skills and domain specific training which is taken care off by training by senior technical / HR personnel of leading IT Companies. To meet the global standards the college implement performance-based competitive environment both for faculty members and the students. Well-established labs across all the departments. Our library has about 7582 volumes and titles, student aid society books of 150, national and international journals of 42, e-resources like IEEE, SPRINGER, K-NIMBUS, cloud-based remote access solution. Our computer laboratories have most advanced and sophisticated HP pro-desktop computers powered with Intel Core i3-4130 processors, 4GB DDR3 RAM, 500GB HDD 7200 rpm SATA, 18.5” LED monitors, USB keyboards, USB mouse, DVD- Writers. 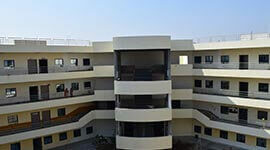 Spacious class rooms and hostel room.